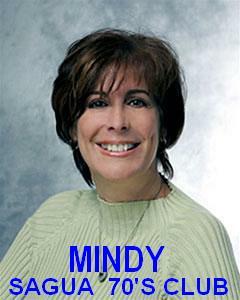 Mindy Lang is without any doubts one of the best radio annoncer of the world. Every day she plays the most unforgetable mellodys of the 60's & 70's. We (the members of the 70's Club in Cuba and Miami) fallow the "Majic Cafe" programs. Actually we request our favor songs through "Ralph" a member who lives in Miami. Mindy thanks you and Majic 102.7. Mindy, You' re doing an excelent work. You are a one in a million. We honestly love you. The members of the 70;s Club of Sagua La Grande, Cuba.